Clyde "JR" Richard Toney, Jr.
Clyde “JR” Richard Toney, Jr., 68, passed away on Saturday March 30, 2019 at Carolina Care, Cherryville. He was born July 22, 1950 in Gaston County to Sallie Davis Toney and the late Clyde Richard Toney, Sr.. In addition to his father he was preceded in death by his wife Linda Thompson Toney, sister Janice “Jan” Toney Gee Rountree, and brother Richard A. Toney. 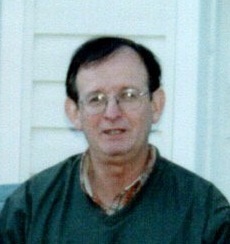 JR formerly worked at Hendrick Automotive, WCCB and was a United States Air Force Veteran. Left to cherish his memories are his mother, Sallie Davis Toney; nephew Chad Gee and wife Stephanie of Bessemer City; great nephew Dakota Gee; and Roger Davis. His graveside service will be held at 1:00 p.m. Tuesday, April 2, 2019 at the Bessemer City Memorial Cemetery with Rev. Van Spencer officiating. His family will receive friends following the graveside at 409 East Iowa Ave, Bessemer City, NC.